It’s just a question of time. Even the most diehard sailors will eventually be tempted to come over to “the dark side,” forgoing the laborious winching, hauling, and hoisting of sails in favor of simply turning a key and motoring off into the sunset. 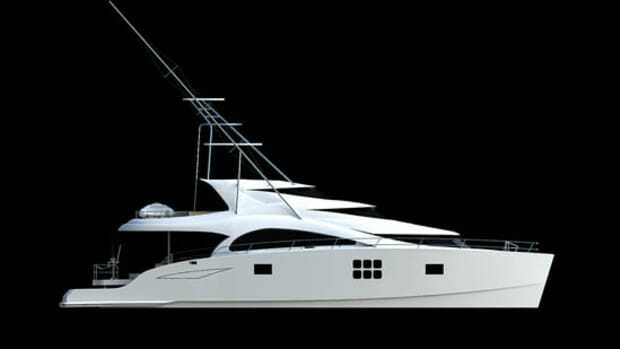 So it’s to be expected that some sailboat builders might make the same shift from sail to power. 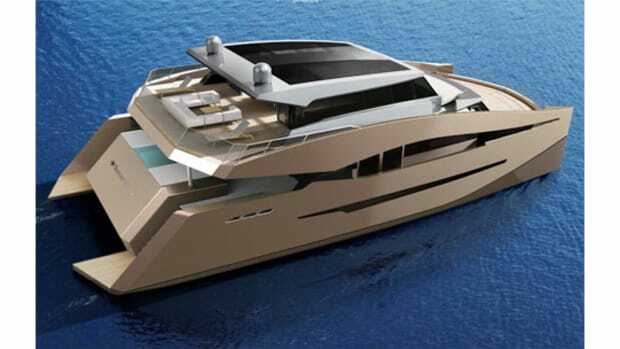 Case in point is Sunreef Yachts, a long-established builder of luxury custom catamaran sailing yachts ranging from 60 to 150 feet in length. 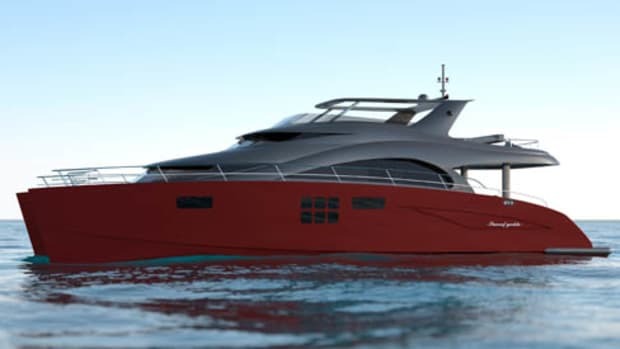 With offices worldwide, the Gdansk, Poland, shipyard has announced a new lineup of four power catamaran cruising yachts between 60 and 82 feet. 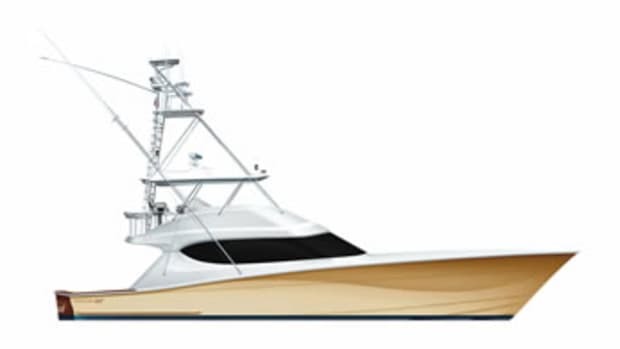 The yard’s first will be a custom 67-footer that will launch this fall. 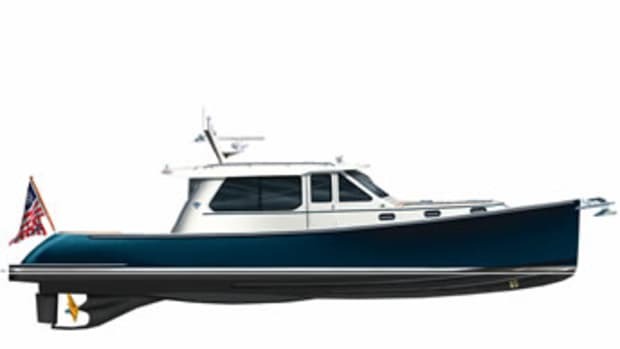 Commissioned for a family voyage around the world, she will be powered by twin 370-hp Volvo Penta diesels that should deliver a range of 3,000 nautical miles while cruising at 8 knots. At the owner’s request, her layout includes several innovative features; for example, on the flying bridge, all furniture can be easily dismantled, turning the entire 500-square-foot upper deck into an open play area for the children. 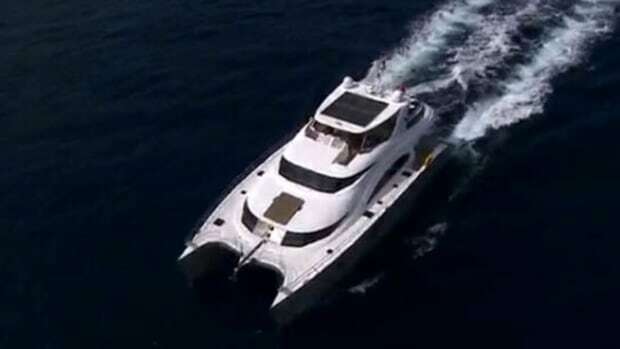 Generous deck space is, of course, one of the big advantages offered by a catamaran. Thanks to a beam of more than 30 feet, the proportions of her aft deck and saloon are exceptionally spacious for a 67-footer; her cockpit alone encompasses some 320 square feet of open space, for example, sheltered beneath the bridge-deck overhang. The 67’s interior accommodations are offered in a variety of layouts, to suit widely different circumstances. For an owner planning to offer the yacht for charter or for co-owners wishing to cruise together, there’s a layout with four equal-size staterooms (shown above), mirror images on either side of centerline. 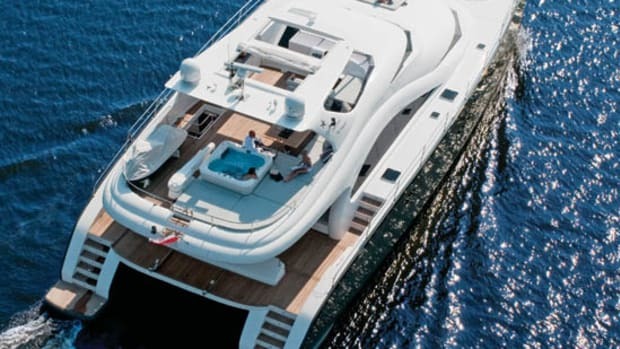 Alternatively, the two forward staterooms can be combined into a full-beam master suite of grand scale, with adjoining head and dressing area. 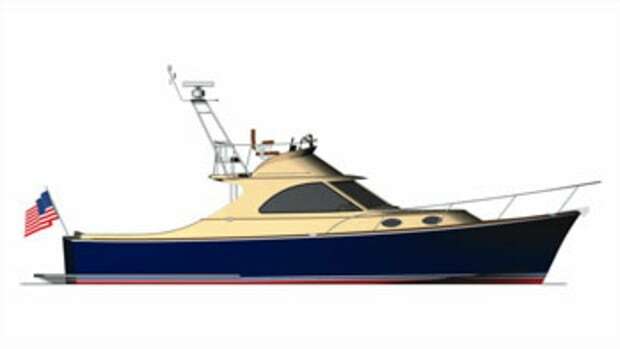 Spaces within the side hulls can be configured as additional staterooms for children or crew. The galley can be located on the main deck, adjoining the saloon, or on the lower deck in one of the side hulls. 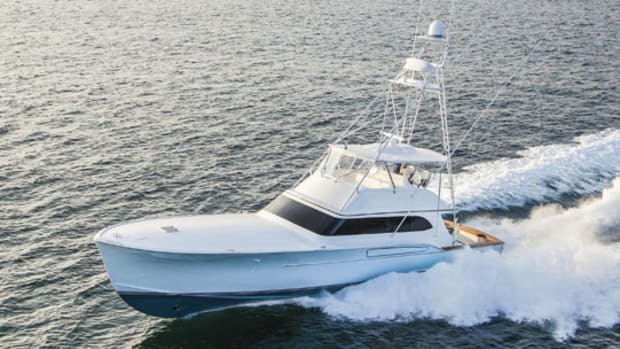 The versatility Sunreef offers in accommodations is matched by the choices available in power, with engine options up to twin 800-hp diesels, which offer a top speed near 25 knots.